Applications are invited from suitably qualified candidates for admission into the Pre-degree Science (PDS) Programme, Centre for Continuing Education (CCE), The Federal University of Technology, Akure. 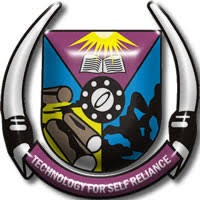 FUTA Pre-degree Science (PDS) Programme is full-time and will run for One Academic Session of Two (2) Semesters. How to Apply for FUTA Pre-Degree Admission. 1. Candidates are to visit www.futa.edu.ng. Click on CCE Portal and PDS Application form to Create an account. 2. Login into your account with your Username and Password. Click on Payment to generate invoice for the application form. 3. Candidates are to pay application fee of Fifteen thousand naira (N15,000.00) excluding bank charges on e-transact in any bank on the e-transact platform. 4. Login to your account on-line to confirm payment and complete the on-line PDS application form. 5. Submit the Online application form and print out a copy of the Examination Schedule slip. a. The application opens on Monday 4th June, 2018 and closes on Friday 21st September, 2018. All awaiting results candidates must upload their results on the www.futa.edu.ng on or before the closing date. b. Entrance Examination will hold on Friday 28th September, 2018.
c. The underlisted helplines could be contacted for clarification on issue bordering on the registration. 07030347098; 08074254379 and 08189537808.